Millington, TN (April 17, 2017) Race three of the Summit Bracket Racing Series presented by COMP Cams was wrapped on Saturday with the running of Rick's Powder Coating Box, Foster's Towing & Salvage No Box, RT Turbines DOT/Street, RT Turbines Junior Dragster, 2nd Hand Power Stock/Super Stock along with 6.0 and 7.0. 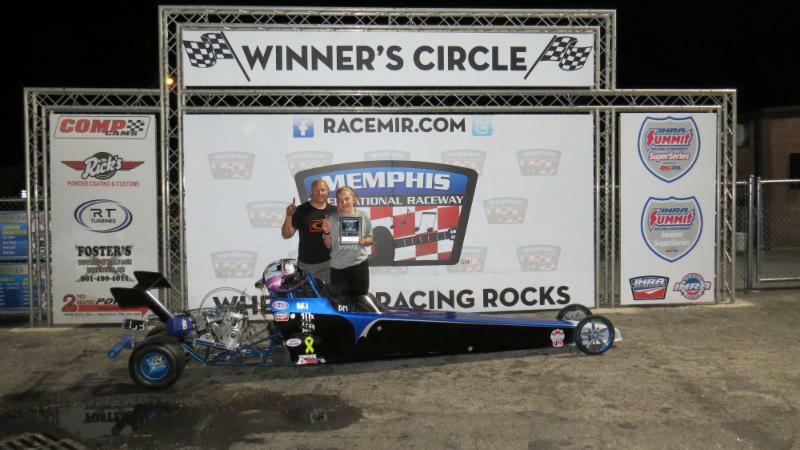 In RT Turbines Junior Dragster the winner's circle saw Brianna Moore take the win over defending track champion Tara Taylor. Moore won it at the line when Taylor went .001 red. Moore ran a 7.93 with a zero on a 7.93 dial in with a .078 reaction time to Taylors breakout run in addition to the .001 red of 7.93 on a 7.97 dial in. Taylor, the 2016 track champion does take over the points. 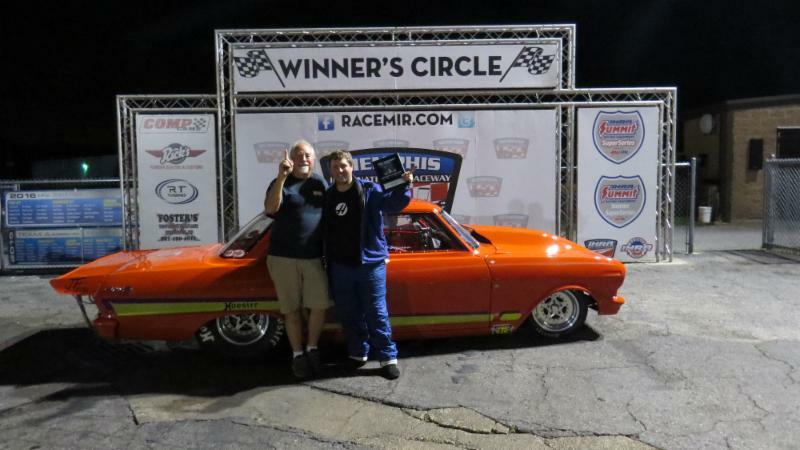 In RT Turbines DOT/Street, Billy Foster, Sr. makes it two in a row taking the win over Matt Reed of Huntington, TN. 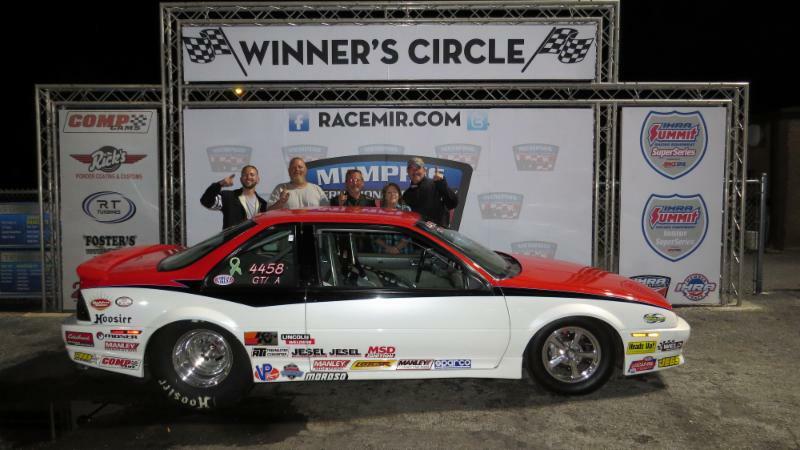 Foster took it at the line with a better reaction time of .039 running a 13.977 on a 13.93 dial in. Reed was .141 on the tree running an 11.251 on an 11.23 dial in. the top five. With a shuffle in the points after three races, Foster's hold down the top three followed closely by 2016 track champion Jackson. 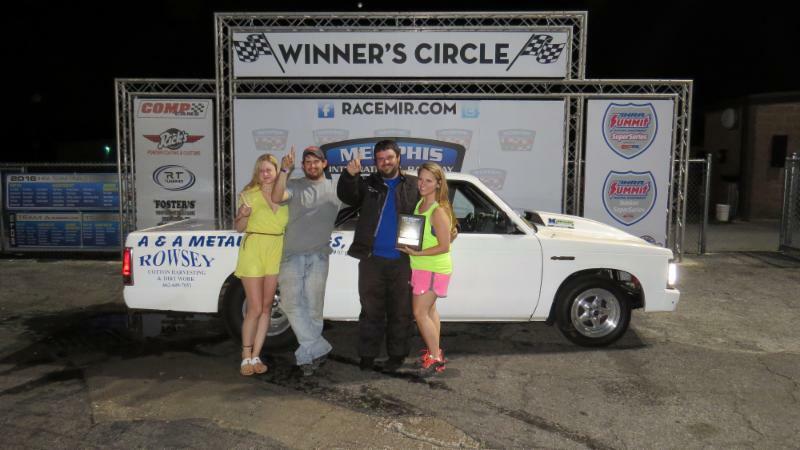 Foster's Towing & Salvage No Box was up next and Foster, Sr. had a chance to double up on the night, but it wasn't meant to be - Broadus took the win with a .019 reaction time running a 6.19 with a zero on a 6.14 dial in. Foster was .073 on the tree running a 9.97 with a zero on a 9.94 dial in. After three races, Elam holds onto the points lead. Rick's Powder Coating Box class saw a first time appearance by Robin Johnson to race Corey Glidewell. Johnson was .001 red on the tree turning the win light on for Glidewell. Johnson ran a 5.08 on a 5.09 dial in with Glidewell taking the win on a 6.411 on a 6.35 dial in with a .017 reaction time. Ferrell holds on to the points lead with a 41 point advantage over Hall. 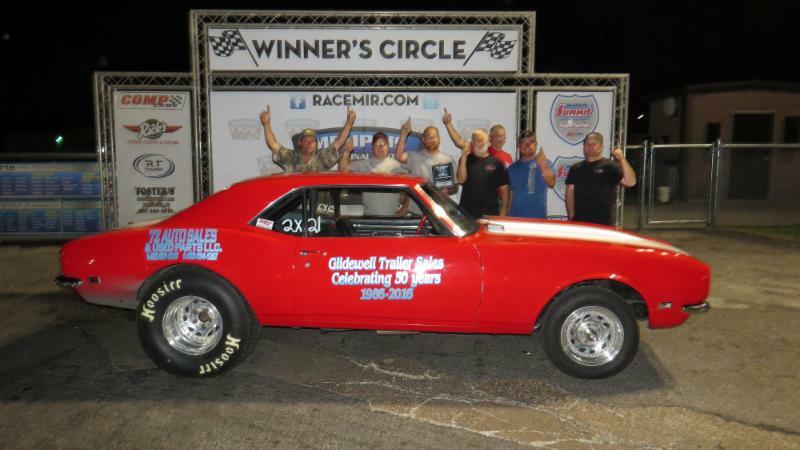 2nd Hand Power Stock/Super Stock had Mitch Autry of Henderson, TN and Mitch Reed of Huntington, TN taking the tree in the final. Reed would have a break out run after taking it at the tree giving the win to Autry wo ran a 9.69 on a 9.67 dial in with a .143 reaction time, Reed was .079 on the tree running a 10.26 with a three on a 10.27 dial. in. With this second appearance in the winner's circle in as many races, Reed holds on to the points lead. Making a special appearance at the Summit Bracket Racing Series presented by COMP Cams the 7.0 Index class. It would be an all Smith final with David Smith and Jimmy Smith both of Batesville, MS. Reaction time would give the win to David with a .014 reaction time running a 7.02 with a 3 to Jimmy's .039 reaction time running a 7.01 with a seven. Joining the 7.0 class making a special appearance at the Summit Bracket Racing Series presented by COMP Cams the 6.0 Index class. The final would come down to Jeffery Ferguson, Jr. of Byhalia, MS and Roger Tagavilla of Brighton, TN. The better reaction time would go to Tagavilla with the win going to Ferguson on a 6.01 with a one run. Tagavilla ran a 6.04 with an eight. 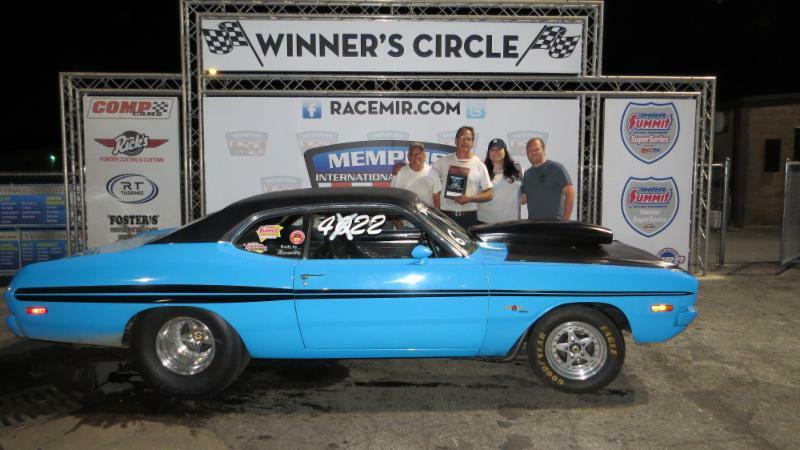 Thank you to all the racers, sponsors and fans that make this happen. The next Summit Bracket Racing Series presented by COMP Cams is scheduled for Saturday, May 27, 2017 - gates will open at 4 p.m. and time trials will begin at 5 p.m.